Assess the neighbourhood, you may find some use in talking to your ‘would be’ neighbours. Ask your estate agent about the current security features the home has in place, e.g. secure windows and doors with British standard locks. Ensure that current security features are valid with your home insurance company. Check to see if the property has a functioning security alarm system installed. Assess the security of the garden (if applicable), check to see if any fences or gates are in stable condition. Many moving companies won’t take liability for items valued over a certain amount, keep these items in a safe or leave them with a trusted family member or friend. Don’t announce your move on social media. Ensure that your belongings are not stored in the moving van overnight, these are common targets to thieves. Keep all your moving documents such as mortgage letters in a secure safe, locked filing cabinet or similar. Update your address with your bank to ensure no sensitive documents arrive at your old address. You may use the Royal Mail redirection service or similar to ensure all post arrives at your new address. 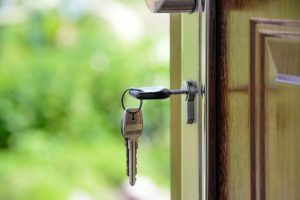 Change of locks – Many overlook how many spare keys may have been given out to the friends and family of old residents may still be in circulation; according to the Office for National Statistics, you’re twice as likely to be burgled in the first 12 months of moving home, so it’s certainly worth considering. If you’re prone to losing keys or you have teenage children who do, a keyless digital lock might be better suited for you. 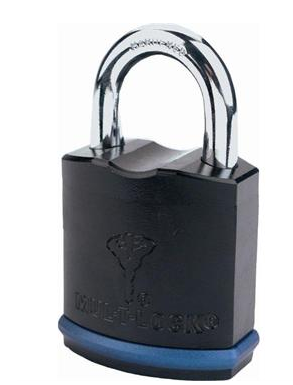 Pictured below is the Yale Digital Lock, a secure modern digital lock with touch screen pad. Domestic Safe – The most commonly stolen items in domestic burglaries are mobile phones, jewellery, cash, laptops, car keys and other high value items that are easily found, stolen and sold. A domestic safe is a secure solution for protecting these goods, burglars will rarely have the time or tools to break them open and get to the valuables inside. Pictured below is a small selection of safes from our extensive range of domestic safes (left to right) including the Chubb Zeta with a cash rating of £6,000, Chubb Air with a cash rating of £1,000 and more discreet Hamber Econominder floor safe with a cash rating of £4,000. 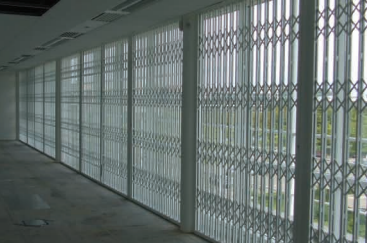 Security Grille – Security grilles can be fitted to any interior or exterior window or door. They add an extra layer of security to your homes entrances are likely to put off any burglars. Shed Security – If your new home has a shed, you’ll want to make sure it’s secure. Start with a strong padlock, you will find lots of useful tips in our ultimate guide to securing your shed. Tip – If you’re looking to sell your home, investing in security can help attract more potential buyers and sell your home quicker at a higher price. If you’re looking to secure your new home, we can help. With a huge range of locks, domestic safes and other more specialist security products available – give one of our expert team a call today on 0117 967 4994 to find out how we can help you secure your property.